Take I-15 north from Vegas; turn on "Valley of Fire Highway." I took a road trip with my daughter to southern Nevada to visit Valley of Fire State Park. 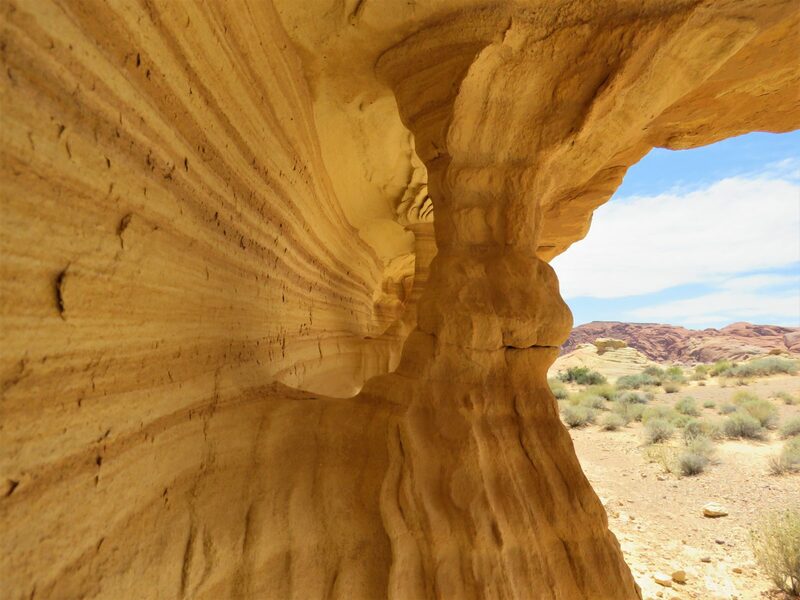 This park offers surreal sandstone landscapes with otherworldly twists, arches, and crevices. This photo depicts a small "window" formed by a natural sandstone arch.